The brother of Poland’s late president Lech Kaczynski has agreed to exhume the late leader’s body as part of an inquiry into his death. The cause of the 2010 plane crash has fueled conspiracy theories for years. The presidential plane went down in Smolensk in western Russia in April 2010, in an aviation tragedy that senior members of the populist Law and Justice (PiS) party have claimed could have been an assassination that was covered up by the Polish and Russian governments. “The bodies, once they were brought back to Poland, were not examined,” Jaroslaw Kaczynski said of the victims, among them his brother and his wife, the military chief of staff and the head of Poland’s central bank. The incident occurred as pilots attempted to land a Soviet-made TU-154 in heavy fog at a little-used airport near Smolensk in western Russia. 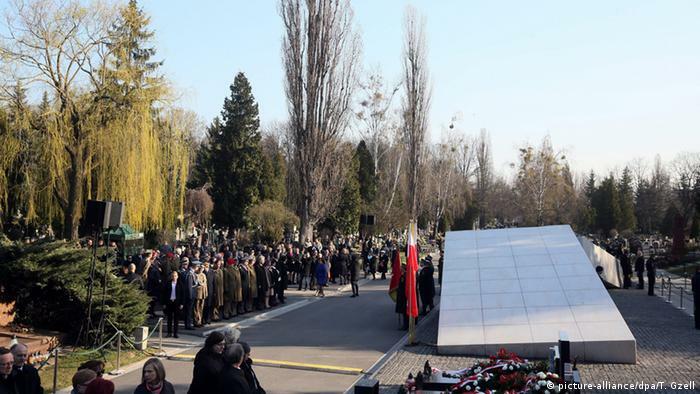 The Polish delegation had been on its way to a ceremony in Russia’s Katyn forest for the tens of thousands of Polish army officers killed by Soviet secret police in 1940. Kaczynski has long said he suspected foul play but Polish and Russian investigators concluded there was no evidence to support the claim. But now that the PiS is in power, Polish prosecutors have said they would re-open the victims’ coffins – which had been sealed in Russia – arguing post-mortem examinations were needed to establish the cause of the crash. That decision has been controversial in Poland with some family members of victims objecting. In fact, only 10 percent of Poles approve of the decision to exhume the bodies, according to an opinion survey conducted by the Ipsos institute published Saturday. The Polish presidential plane went down in Smolensk in western Russia in April 2010, killing all 96 people on board, in an incident the ruling PiS government now says was nothing short of an assassination. Moscow has so far refused to return the wreckage of the jet to Poland, a member of NATO and the European Union. This has strained relations between Warsaw and Moscow, capitals with a long history of enmity stretching from imperial times up through the end of the Cold War. The London Post is your news, entertainment and articles website. We provide you with the latest breaking news and videos straight from the location. © 2017 The London Post. All rights reserved.